In the early 1960s, David Delaplane, a minister who was also part-time director of the Glenwood Springs Chamber of Commerce, opened a file folder labeled “education committee.” It contained only a list of names. Within months, the committee was revived and decided upon an impossibly bold idea: bringing a college to the central mountains. Back then, Delaplane (who is now approaching 90 and still living in Colorado) took a simple idea and through sheer determination and true Western Slope confidence — plus a bit of good luck — made it a reality. Before the days of Interstate 70, international airports, cell towers, broadband Internet, mail-in voting and the many other conveniences we enjoy today, he and a small band of supporters traveled countless rugged miles and were joined by other visionaries, generous land donors and a majority of voters who, by a two-to-one margin, agreed to fund and support a concept that continues to thrive and evolve today. On Oct. 2, 1967, Colorado Mountain College opened its doors at two residential campuses — Spring Valley, near Glenwood Springs, known then as the “West Campus,” and Leadville, known as the “East Campus” — to its first students. Today, the college operates 11 campuses and centers in western Colorado — in Aspen, Carbondale, two in Glenwood Springs (also home to the college’s administrative headquarters), Rifle, the Vail Valley, Steamboat Springs, Dillon, Breckenridge, Leadville and Buena Vista. It offers five bachelor’s degrees, 54 associate degrees, more than 60 certificates and myriad online, noncredit and lifelong learning courses. 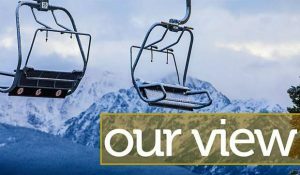 Though few outside the original founders could envision what it might become, today the college positively influences nearly every aspect of mountain life. Many of the nurses, educators, civil servants and first responders in our communities have received training at Colorado Mountain College. The region’s world-class ski resorts are filled with CMC alumni, from those operating giant grooming machines or designing the latest snowboard to the chefs preparing five-star delights or hotel managers striving to fill every guest with memories of a lifetime. The Isaacson School for New Media teaches the digital media skills needed for a rapidly evolving industry. And, let’s not forget the numerous small businesses and international firms that rely on the college to train their workforces. It is a sincere privilege to work with a team of exceptional staff and faculty who embrace and preserve CMC’s open-access mission and innovative spirit while delivering service and learning excellence at unparalleled value. We stand on the shoulders of those who have shepherded the college along the way, ensuring its financial health and thoughtful adaptation to inevitable change. Eight former presidents have left their unique marks. Trustees through the years — individuals you elect to follow state law and serve the college — have in turn served the taxpayer by keeping tuition affordable and academic programs strong, and by investing in state-of-the-art facilities right in our backyards. Forty-nine years ago, a few dozen plucky students took a chance and enrolled in the first classes at CMC. Since then over a half million students have walked through CMC’s doors. The college has hosted thousands of events, lecture series and community groups. Businesses enjoy the benefit of employing a reliable stream of highly trained graduates. Area high schools partner with the college to ensure that all students, regardless of background or station in life, have a chance to prepare for college and career. The CMC Foundation is a trusted steward of your charitable donations. Regardless of how Colorado Mountain College has touched your life, we hope you are proud of what it has become. It is because of you that the college continues to create exceptional educational opportunities high in the Colorado Rockies. Because of you — the theme for CMC’s 50th anniversary year — the college continues to evolve, thrive and reinvest where we all live and play. Starting this month and continuing over the next year, we will celebrate five decades of serving our communities — and we invite you to join us. Watch for events and activities at your local campus or in your community. Help us officially write our history by sharing your photographs, memories and stories. Mentor or support a student pursuing lofty dreams. Do something major like David Delaplane did 50 years ago. You never know what a simple idea might become. 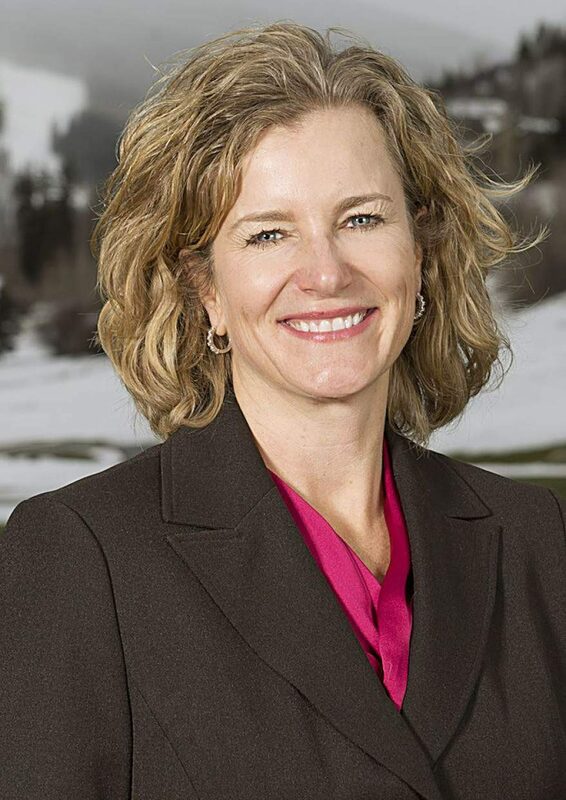 Dr. Carrie Besnette Hauser is president and CEO of Colorado Mountain College.